Official figures point to a total of 9,792 parish and monastery churches, many of the World Heritage sites. In Greece, evidence of Orthodoxy Christianity, whose roots are intertwined with those of the nation, is everywhere: Countless churches, chapels and shrines, in squares, on mountain tops, in caves, carved into the rock, as if crafted by invisible, all-powerful hands, by the sea or in private spaces. Official figures point to a total of 9,792 parish and monastery churches, but this figure does not include the hundreds of privately owned places of worship and chapels in cemeteries. Many have been declared World Heritage sites. Most churches are dedicated to the Virgin Mary (Theotokos, Panaghia etc), Saint Demetrios (Aghios Dimitrios), Saint Nicholas (Aghios Nikolaos), Saints Constantine and Helen (Aghioi Konstantinos kai Eleni) and the Holy Trinity (Aghia Triada). 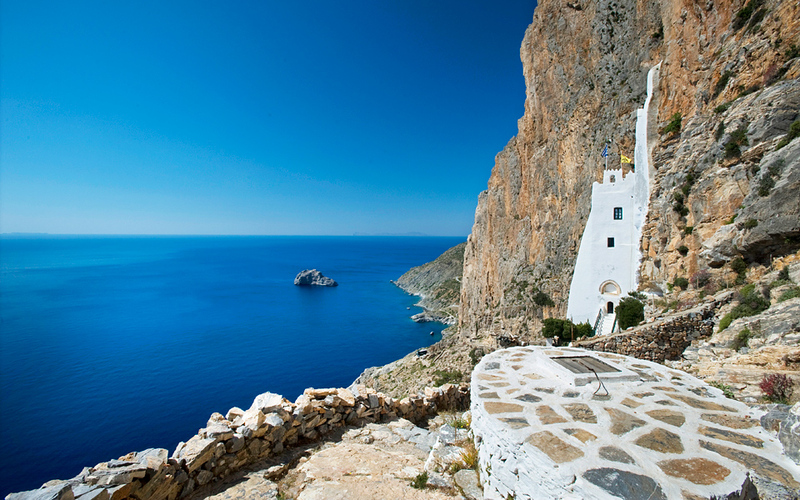 Most island churches are dedicated to Aghios Nikolaos, patron saint of sailors and fishermen, due to the fact that traditionally, most island families relied to a greater or lesser degree on the sea – which could of course be deadly – for a living. According to the report by the General Secretariat of Religion, of the 9,792 registered churches, 9,146 belong to parishes and 646 to monasteries. These in turn fall within the jurisdiction of the Church of Greece. Most parishes, and thus parish churches – a total of 249 – come under the Metropolis of Ioannina. As the general secretary of the Secretariat for Religious Affairs, Georgios Kalantzis, explained, each parish and church are connected to a number of villages, and the number of churches each diocese has does not have a direct correlation with the number of residents in that region. According to the report, in Greece, numerous Byzantine era (330-1453) churches have been preserved. Many were built on ancient temples and shrines in an effort to purge the region of its pagan past. In the period from 1453 to 1830, several notable cultural monuments and churches were built, mainly on Crete (before the Ottoman conquest) and the Ionian Islands (which were not conquered by the Ottomans). In total, 350 Christian places of worship are considered cultural monuments and, as such, are protected. Unfortunately, a significant number of the Byzantine churches and monasteries of Athens were destroyed and looted over the centuries. Thus, after the publication of the declaration on the independence of the Greek Church with a series of decrees, monasteries with fewer than six monks were dissolved and their property confiscated. And then there are chapels in gorges, in caves or in other inaccessible places, many of which are on the islands. 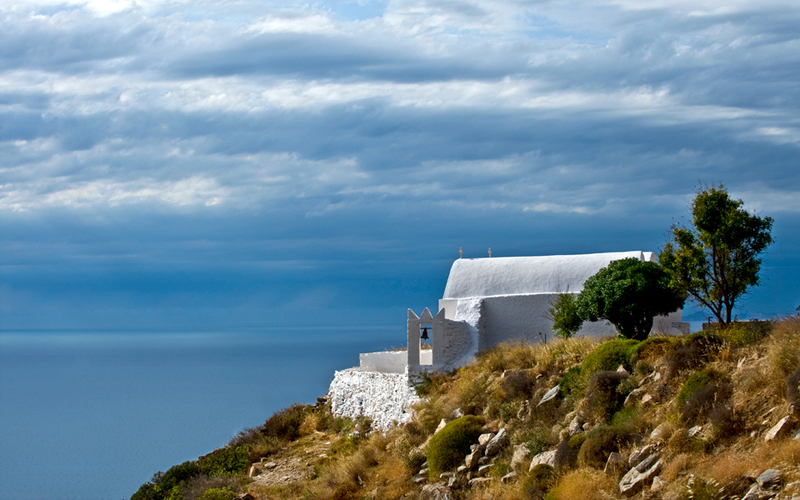 For example, it is estimated that Tinos has more than 1,000 small churches. “Behind every good Christian is a mother who taught them their faith. In every Greek landscape there is a small chapel at least, if not a splendid cathedral.” says Marios Begzos, professor at the Theological School of Athens. In terms of other Christian denominations, more than 129 churches and monasteries belong to the Catholic Church. The churches tend to be small, incorporated into private property and designed to serve as a place of worship for a limited group of people, although there are a few free-access churches. According to the report by the general secretary of the Secretariat for Religious Affairs, legally licensed churches number around 300. The number of legally licensed places of worship for other religious communities is 20. These belong to religious communities of Jews (11), Buddhists (seven), Hindus (three), Muslims (four) and Baha’is (six).